DHM » Supplements » How Are Nutrition Supplements Regulated? At present people have become quite conscious regarding their health and are, therefore, taking responsibility for taking care of their own health. A leading example of this growing inclination is the increased intake of nutritional supplements all over the world, especially in the United States. Nonetheless, while people appreciate the benefits of using dietary supplements to endorse the well being, they may not completely be aware of the role of U.S. government in guaranteeing that the supplement they use is safe. Here you will find how dietary supplements are regulated. It is the U.S. Food and Drug Administration (FDA) that is responsible for regulating all kinds of dietary supplements. It regulates them through its Center for Food Safety and Applied Nutrition. FDA regulates these supplements considering as a food product rather than a medicine. 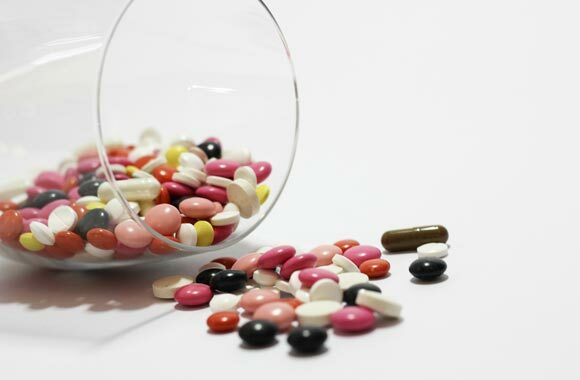 There is a law, Food Drug and Cosmetic Act (FDCA) that legalizes nutritional supplements. It is, however, not necessary for the manufacturers of supplements to follow FDA rules. Usually, these manufacturers only notify them regarding the launch of their product. They (Dietary supplement manufacturers) don’t need to roll themselves with FDA or acquire any sort of approval for their product. It is necessary for them to ensure that the product they are going to launch is safe to use. Otherwise, FDA can take an action against any hazardous dietary supplement. It is imperative for them to make certain that the label information on the product is factually and not deceptive. The notification is required from the manufacturer to give information demonstrating the ingredient is harmless and the particular ingredient cannot be sold or distributed for sale for a period of about 75 days after filing the required information. The reason is that during this time, the product is looked for safety and adequacy concerns. It was implemented in the year of 2007 by FDA to ensure quality production of nutrition supplements. This also works to make certain that supplements do not contain any kind of impurities or toxins. It also checks that all the supplements are precisely labeled and fulfill all the requirements of manufacturing, labeling, quality control, supplements storage, and packaging. If there is some sort of trouble, current good manufacturing practice helps in tracking it and also in fixing it. All these are corrected under this cGMP. Thus, it is necessary for manufacturers to synthesize their dietary supplements under cGMP. FDA needs that certain information becomes visible on the label of the dietary supplement such as product name, the net quantity of ingredients, name, and site of the manufacturer, distributor, or packer and the last but not the least directions for use. It is done by Federal Trade Commission (FTC). It checks the fake and ambiguous claims and advertisement by the manufacturers.